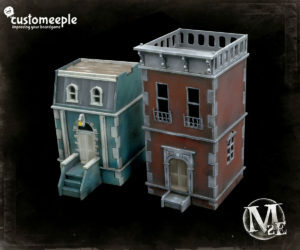 Scenery modular buildings for Malifaux. 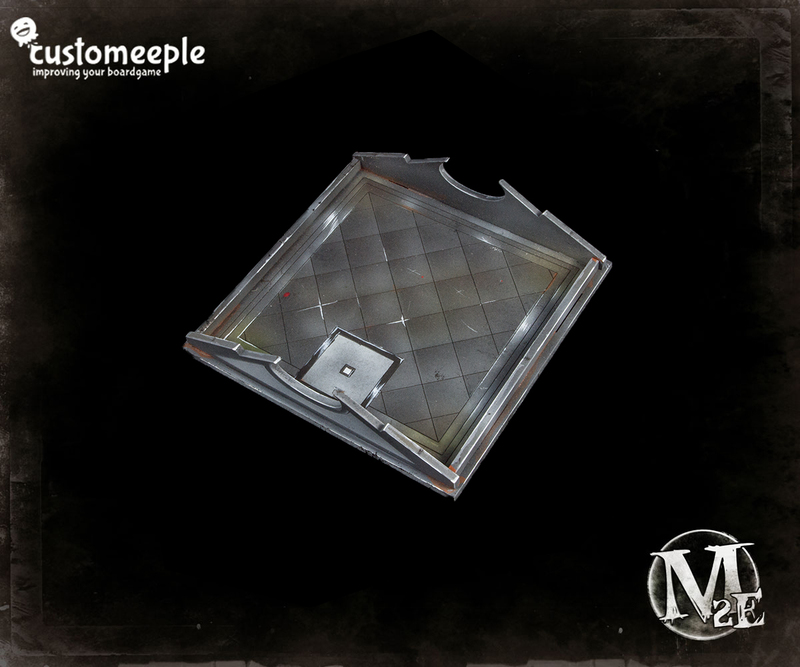 Put a small part of the world of Malifaux onto your gaming tables with our scenery pieces. The product contains 4 stackable housing modules that you can combine in any way to create two full buildings whit 2 removable ceilings. Or if you prefer create up to 6 small scenery structures (without ceiling) that you can scatter thought the playfield. 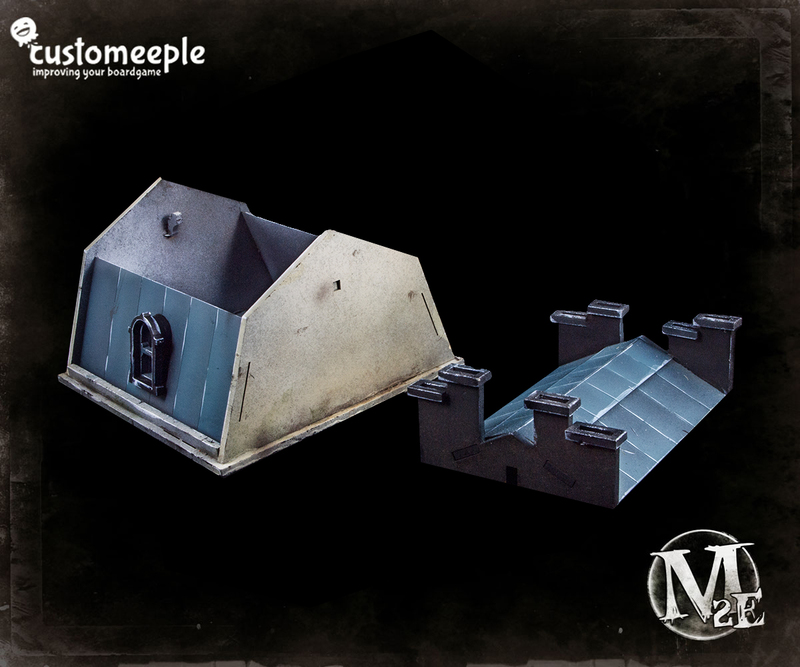 The product also contains two balconies that you can add to one of the buildings and all the flat ceilings have small trap doors etched that you can cut and use the feature in play. Also we include a full set of transparent methacrylate pieces to use as windows. 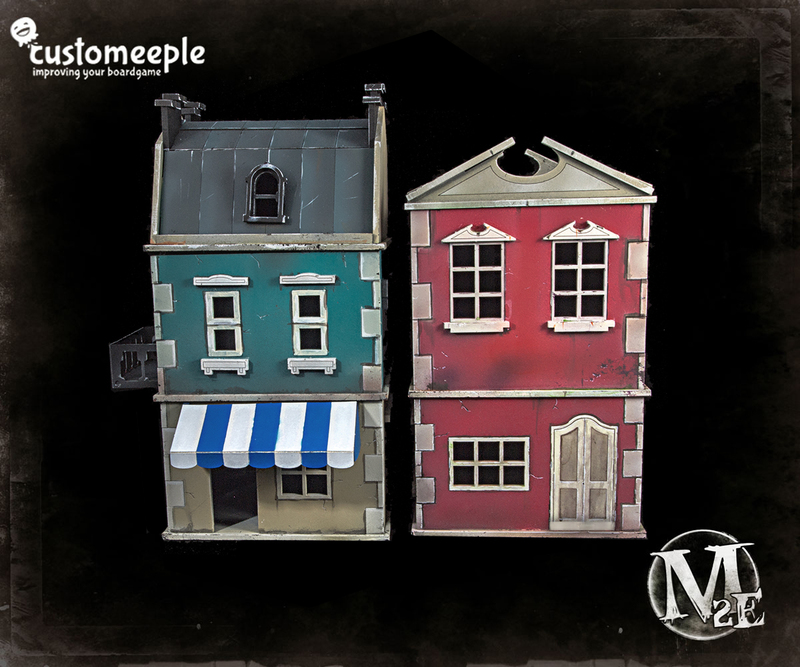 Our Millbank houses are perfect to be used on any Malifaux game table. 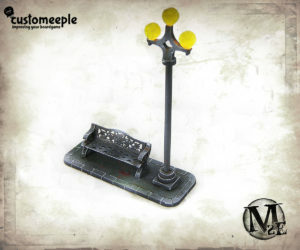 You can combine it with our other Millbank Street products and create a themed environment for your games. Take note that the Millbank street houses are just the first in our series of modular houses. Stay tuned since in a near future we will release more modular housing compatible among them. 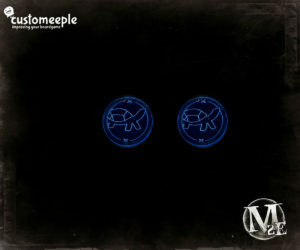 You will be able to create a full thematic game table and change it in each play! 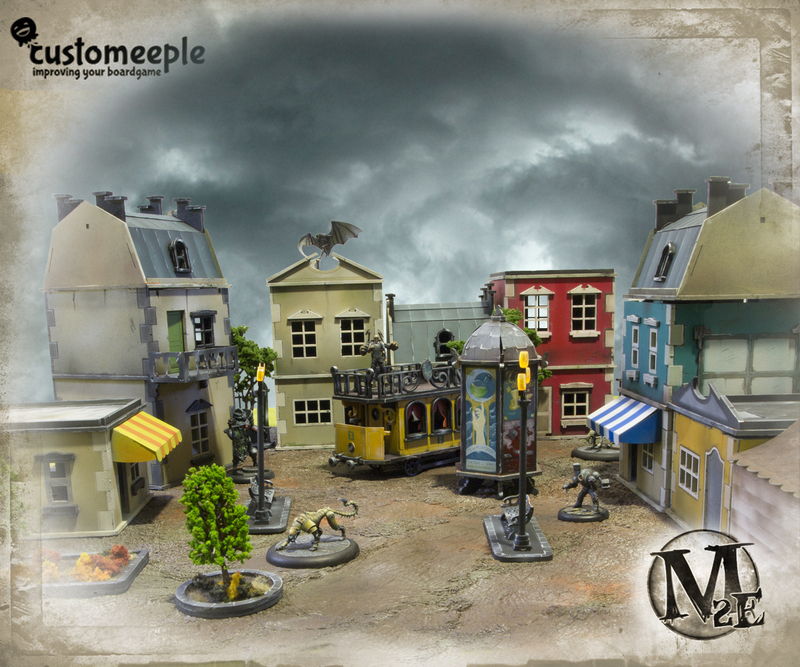 All of the pieces are designed in collaboration with Wyrd games to be perfectly compatible with Malifaux. 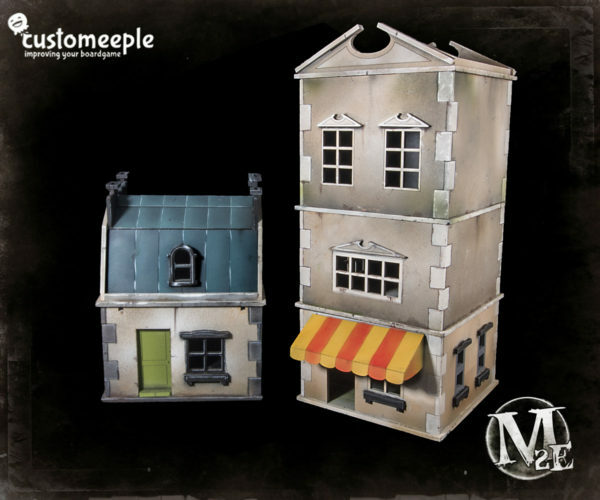 Use: Scenery buildings for Malifaux. Note: This product is sold unpainted and unmounted, you will need glue to assemble it. Miniatures not included. 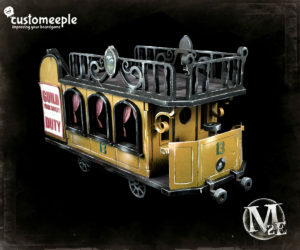 Scenery Cable car for Malifaux. 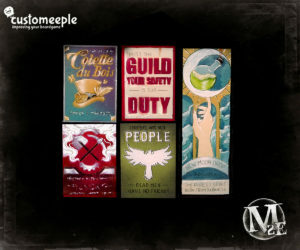 Scenery advertising posters for Malifaux. 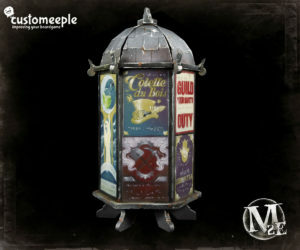 Scenery advertising kiosk for Malifaux.